Providing you the best range of water soluble cutting oil, soluble cutting oil, synthetic tech straight cutting oil, neat cutting oil and cnc cutting oil with effective & timely delivery. We are presenting an amazing array of Cutting Oil Metal Working Fluid such as Water Soluble Cutting Oil that is acclaimed for optimum PPM and is employed as coolant oil for easy to medium duty applications of cast iron as well as ferrous metals apart from CNC as well as VMC applications. It is highly regarded for low volatility and accuracy of composition. It is also suitable for wide array of removal and grinding applications. It is also useful over a wide range of water hardness. Leveraging on our state of the art infrastructural facilities we present huge gamut of Cutting Oil Metal Working Fluid including Soluble Cutting Oil. It is manufactured by using premium grades of refined solvents and high viscosity mineral oils. These are fortified with additives for unmatched anticorrosive, antioxidant and anti-foaming characteristics. It facilitates impeccable lubrication of bearings and gears and is also used for molding, injection molding and pressure die casting applications. We offer the same at reasonable prices. Non Staining type Straight Cutting oil treated with fortified Ep Additives with sufficient oiliness suitable for Light & Medium Conditions. 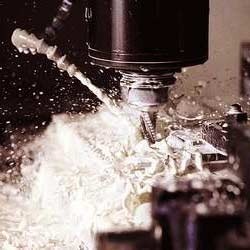 Fill up our Neat Cutting oil 18 as per your tank capacity of any Cnc Vmc Machine and see the performance. No Need to Change our oil for minimum 36 months to 48 months. Top-ups requires after 3600 Hours to maintain synthetic technology oil sump life. We are Not Responible For ; Tank Leakages and any type of Wastages while removing jobs from machines. 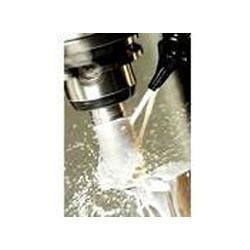 Dnr Apple Neat Cut-18 Synthetic Technology Straight Cutting oil is Suitable for All Cnc’s Lathe, vertical & horizontal machining centres, Grinding,Milling like Machining operations in Mild Steels, Stainless Steels, Carbon Steels, Nickel and Maganeese Steels. This oil is also suitable for Carbide Tools, Copper & Aluminium and their Alloys. 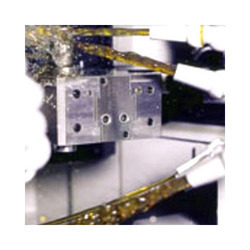 We are highly reputed in manufacturing, supplying, distributing, trading and dealing of large assortment of Cutting Oil Metal Working Fluid including Neat Cutting Oil that is designed for diverse operations such as cutting, grinding, turning, milling, broaching, tapping and drilling to name a few. It is capable of cooling and lubricating under challenging conditions and ensures impeccable surface finish of the components that are being worked on. It facilitates extension of life of the components and can be availed at reasonable rates. 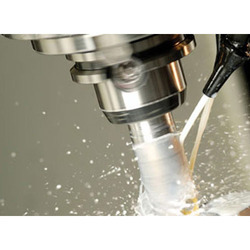 Leveraging on our vast technological knowledge of manufacturing, supplying, distributing, trading and dealing of Cutting Oil Metal Working Fluid we are pressed to offer CNC Cutting Oil to our clients. It is widely used for extending life of cutting tip and maintains stable temperature while seamlessly lubricating working edges of CNC or VMC machine tools. It is highly appreciated for preventing tip welding jobs and is highly eco-friendly. It is offered at leading industry rates to our patrons. Looking for Cutting Oil Metal Working Fluid ?